When it comes to your aquarium tank, cleanliness is vital to ensure your fish are healthy and algae are not present. 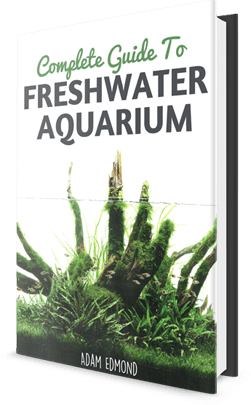 Even the most meticulous aquarists know this cannot be done without the use of a quality filter, but choosing the right filter is tricky, especially considering all the options available. Why you should choose EHEIM Classic Canister Filter 2213? 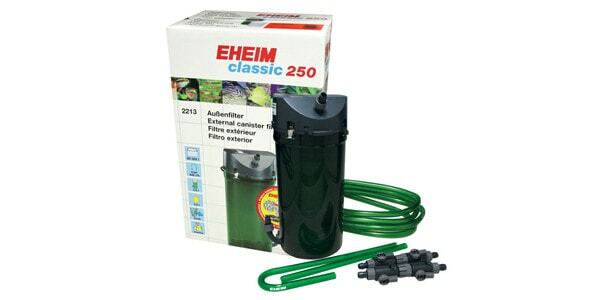 When it comes to canister filters, the community of fishkeepers truly appreciates the EHEIM brand especially the Classic Canister Filter 2213. Read all customers feedback here. When you first purchase the filter, you will be happy to see how easy it is to install. 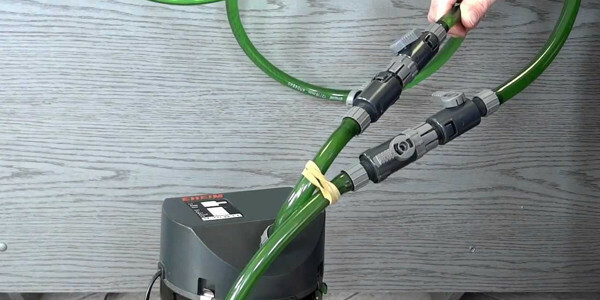 All the accessories you need for the setup—including the spray bar, the inlet pipe, and the hose—are included. 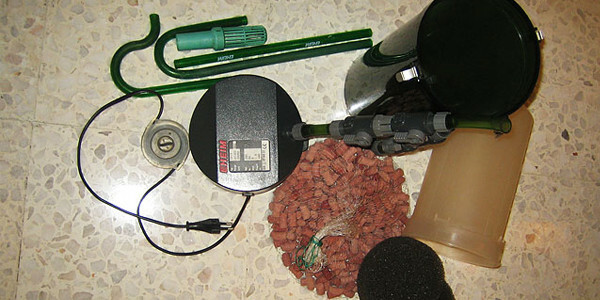 The media is also included; however, you decide if the filter sponges or the loose filter media is suitable for your tank. Installation is basically mounting the pieces of the filter and placing the filter on the side of the tank. It may take a few days until all of the air trapped in the filter is released. Also, consider the types of plants and fish you have before you place your filter since a strong water flow can disturb sensitive plants and fish and can move the substrate, causing disarray in the tank. A great advantage to this filter is the cleanup. Since it is a canister filter, you do not have to clean it often unless your tank is heavily populated. For many people, it is a struggle to remove, dismember, clean, and close the filter every few months, thus the EHEIM Classic Canister Filter makes it simpler. Basically, remove the top of the filter for access to the filtering media that can be cleaned or replaced completely. When done, reattach the head of the pump and the permo-elastic silicon sealing ring. In this way, the filter will never open in the tank and you will not have to worry about water improperly entering. As for the power, it comes in different sizes suitable for different tanks. You can choose one for a 40-gallon tank or the largest filter for a 92-gallon tank. Either way, it will keep the water in your tank crystal clear without having to worry about it. Not only does this filter do a great job, but it is also quiet. 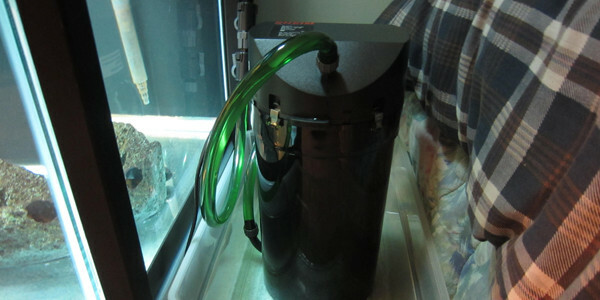 As a matter of fact, most users were pleasantly surprised to notice this filter could be utilized in a tank in the bedroom without disturbing the room’s inhabitants. The filter is not only efficient, but also is resilient over time. When you invest your money in a piece of equipment, you want to be sure that it will last for years to come. Well, this filter is made from high-quality materials that will not harm your fish and will last for quite some time. The plastic is strong and resistant allowing the tubes not to break over time, even if moved constantly. Some may consider the price of this filter to be expensive, especially when compared to other similar products on the market. However, even though the parameters of the filters seem similar, many fishkeepers recommend this classic filter over the more modern types. Since it includes the media, you can consider from the beginning that you made an investment. Of course, this also depends on the type of tank you have and how you choose to use it, but you will not be disappointed. Check out the promotional price on Amazon now. If your tank is not very populated, you can only change the media once per year if not forced to do it earlier under certain circumstances. Before you use this filter, cycle the tank with the filter working, so there is enough time for the “good” bacteria to appear inside the filter. This can take up to one month, depending on various factors. You will surely be satisfied with this filter, even if you have a large, crowded tank. The advantages of a filter of this magnitude outweigh the initial expense and overtime will have cost less hassles and much more pleasure enjoying your beautiful aquarium. The Eheim 2213 is perfect for a 55 gallon planted tank.